Explanation: Hypokalemia is the most expected laboratory finding owing to the diarrhea. Hypoalbuminemia can also occur in Crohn's disease; however, the client's potassium level is of greater importance at this time because a low potassium level can cause cardiac arrest. Anemia is an expected development, but thrombocytopenia is not. Calcium levels are not affected. A. withhold food and fluids. C. ensure access to spiritual care providers upon the client's request. D. always make the DNR client the last in prioritization of clients. Explanation: Ensuring access to spiritual care, if requested by the client, is an appropriate nursing action. A nurse should continue to administer appropriate doses of pain medication as needed to promote the client's comfort. A health care provider may not withhold food and fluids unless the client has a living will that specifies this action. A DNR order does not mean that the client does not require nursing care. Q. Which of the following laboratory findings are expected when a client has diverticulitis? A. Elevated red blood cell count. C. Elevated white blood cell count. D. Elevated serum blood urea nitrogen concentration. Explanation: Because of the inflammatory nature of diverticulitis, the nurse would anticipate an elevated white blood cell count. The remaining laboratory findings are not associated with diverticulitis. Elevated red blood cell counts occur in clients with polycythemia vera or fluid volume deficit. Decreased platelet counts can occur as a result of aplastic anemias or malignant blood disorders, as an adverse effect of some drugs, and as a result of some heritable conditions. Elevated serum blood urea nitrogen concentration is usually associated with renal conditions. Q. A home health nurse who sees a client with diverticulitis is evaluating teaching about dietary modifications necessary to prevent future episodes. Which statement by the client indicates effective teaching? A. "I'll increase my intake of protein during exacerbations." B. "I should increase my intake of fresh fruits and vegetables during remissions." C. "I'll snack on nuts, olives, and popcorn during flare-ups." D. "I'll incorporate foods rich in omega-3 fatty acids into my diet." Explanation: A client with diverticulitis needs to modify fiber intake to effectively manage the disease. During episodes of diverticulitis, he should follow a low-fiber diet to help minimize bulk in the stools. A client with diverticulosis should follow a high-fiber diet. Clients with diverticular disease don't need to modify their intake of protein and omega-3 fatty acids. Q. A nurse preceptor is working with a student nurse who is administering medications. Which statement by the student indicates an understanding of the action of an antacid? A. "The action occurs in the stomach by increasing the pH of the stomach contents and decreasing pepsin activity." B. "The action occurs in the small intestine, where the drug coats the lining and prevents further ulceration." C. "The action occurs in the esophagus by increasing peristalsis and improving movement of food into the stomach." D. "The action occurs in the large intestine by increasing electrolyte absorption into the system that decreases pepsin absorption." Explanation: The action of an antacid occurs in the stomach. The anions of an antacid combine with the acidic hydrogen cations secreted by the stomach to form water, thereby increasing the pH of the stomach contents. Increasing the pH and decreasing the pepsin activity provide symptomatic relief from peptic ulcer disease. Antacids don't work in the large or small intestine or in the esophagus. Q. The nurse meets with the client and his wife to discuss depression and the client's medication. Which of the following comments by the wife would indicate that the nurse's teaching about disease process and medications has been effective? A. "His depression is almost cured." B. "He's intelligent and won't need to depend on a pill much longer." C. "It's important for him to take his medication so that the depression will not return or get worse." D. "It's important to watch for physical dependency on Zoloft." Explanation: Improved balance of neurotransmitters is achieved with medication. Clients with endogenous depression must take antidepressants to prevent a return or worsening of depressive symptoms. Depression is a chronic disease characterized by periods of remission; however, it is not cured. Depression is not dependent on the client's intelligence to will the illness away. Zoloft is not physically addictive. Q. A nurse is developing a nursing diagnosis for a client. Which information should she include? 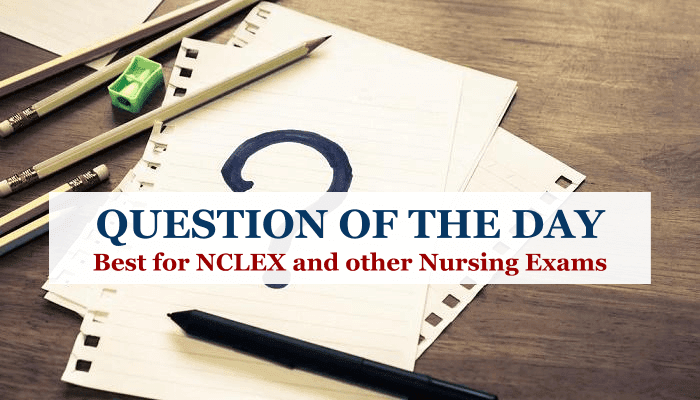 Explanation: A nursing diagnosis is a written statement describing a client's actual or potential health problem. It includes a specified diagnostic label, factors that influence the client's problem, and any signs or symptoms that help define the diagnostic label. Actions to achieve goals are nursing interventions. Expected outcomes are measurable behavioral goals that the nurse develops during the evaluation step of the nursing process. The nurse obtains a nursing history during the assessment step of the nursing process. Q. Before an incisional cholecystectomy is performed, the nurse instructs the client in the correct use of an incentive spirometer. Why is incentive spirometry essential after surgery in the upper abdominal area? A. The client will be maintained on bed rest for several days. B. Ambulation is restricted by the presence of drainage tubes. C. The operative incision is near the diaphragm. D. The presence of a nasogastric tube inhibits deep breathing. Explanation: For clients with increased intracranial pressure (ICP), the head of the bed should be elevated to 30 degrees to promote venous outflow. Trendelenburg's position is contraindicated because it can raise ICP. Flat or neutral positioning is indicated when elevating the head of the bed would increase the risk of neck injury or airway obstruction. A side-lying position isn't specifically a therapeutic treatment for increased ICP. Q. When planning care for a client with a head injury, which position should the nurse include in the care plan to enhance client outcomes? A group of NICU nurses from Missouri has once again proven that nurses are the most amazing creatures on the planet by donating the money they received after their combo Mega Millions ticket turned out to be a winner. And even more heartwarming? They donated the money to two co-workers, one who just lost her son and one whose husband was recently diagnosed with cancer. Earlier this month, the entire country was captivated with the premise of winning the largest-ever lottery jackpot, set at 1.6 billion dollars, and co-workers around the nation joined in on “office pools” to enter. The NICU nurses at Mercy Children’s Hospital in Missouri were no exception, with 126 nurses pooling their money together to enter the Mega Millions. And not only did they end up scoring one of five $10,000 winning tickets in their state, but their winning ticket was only one number away from winning the entire jackpot. “We never thought in a million years we would win anything at all and then we came one number away from winning $1.6 billion,” NICU nurse Stephanie Brinkman, who organized the lottery pool, told KMOV4 news station. Despite being so close to the big jackpot, after taxes, the grand total of the winning ticket came to $7,200. Split between all 126 nurses, each nurse would only receive $56. So, instead of each of them pocketing enough to buy a few pizzas for their family, they once again decided to pool their resources together—this time, to make a difference for two people who really needed it. The nurses decided to keep the lottery winnings together and donate it all instead of keeping any small amount of money for themselves. While their winnings may not have been a billion dollars, it was still enough to make a big difference and Brinkman was able to present a check to two of their co-workers, fellow nurse Gretchen Post and hospital neonatologist Casey Orellana. The rest of the money went to Post, who lost her 17-year-old son, Jack, the youngest of her three children, to suicide on October 23rd. 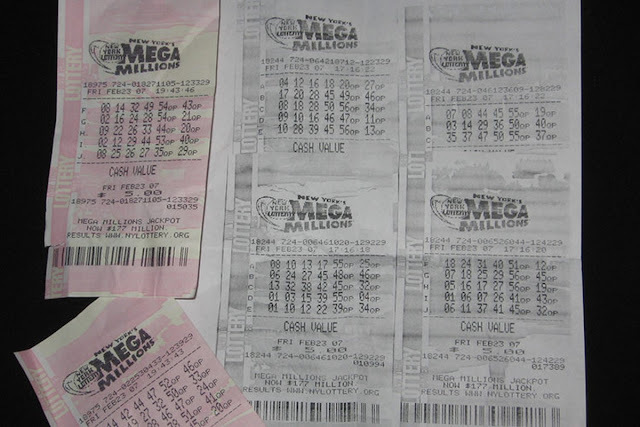 Jack died the night of the Mega Millions drawing and Post told her co-workers that the money will be used to pay for his funeral. “Jack always had a smile on his face. He did not lead anyone on that this would happen,” his grieving mother described. 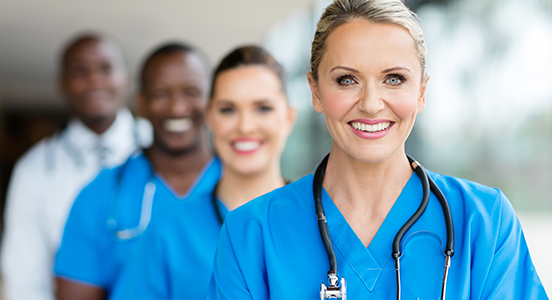 “When it comes to incredible #nurses, we hit the jackpot!” the hospital wrote. We would have to say we agree and may we all be inspired by their act of giving this holiday season, billion-dollar lottery winners or not. C. Restores the balance of energy. D. Blocks nerve pathways to the brain. Explanation: Acupuncture, like acumassage and acupressure, is performed in certain Asian cultures to restore the energy balance within the body. Pressure, massage, and fine needles are applied to energy pathways to help restore the body's balance. Acupuncture is not based on a belief in purging evil spirits. Although pain relief through acupuncture can promote tranquility, acupuncture is performed to restore energy balance. In the Western world, many researchers think that the gate-control theory of pain may explain the success of acupuncture, acumassage, and acupressure.